While it’s impossible to completely eliminate every source of contamination from the home, you can greatly improve the quality of your air through proactive measures. Monster Mechanical offers our customers proven and cost-effective solutions to air quality concerns. Our team is trained, and highly qualified to properly analyze your home environment, and recommend solutions keeping you breathing easy. We care about your indoor air quality! At Monster Mechanical Heating and Air Conditioning, we advise our customers to follow the exact same measures we practice to protect the well-being of our own families. We believe in the systems we offer, and treat your home like our own. Our goal is to create a comfortable, and healthy home environment using the highest quality products and services. We are always available to discuss your concerns and explain every option. What does your home’s heating and cooling system have to do with your health? Surprisingly, quite a bit. Anyone who has ever had difficulty breathing in a house full of allergens that’s too hot, cold, humid or dry can tell you, the air conditions inside your home can have major effects on your physical comfort and mental well being. Indoor air quality also has very real effects on your health. From asthma triggers, and pollens that cause sneezing and itchy eyes, to airborne bacteria, or viruses, that can cause colds and flu, Monster Mechanical has a way to improve the air you breathe. Your furnace or central air conditioning system can be extremely helpful when it comes to filtering contaminants from your home environment. 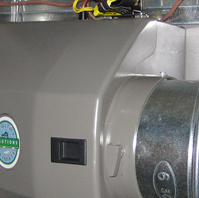 Installing the right components onto your system can greatly reduce or possibly eliminate biological and chemical pollutants such as mold, bacteria, viruses, allergens, and odors that once easily passed through even the most efficient filters. While you may hope to retreat inside, the air quality of your home may actually aggravate your symptoms. 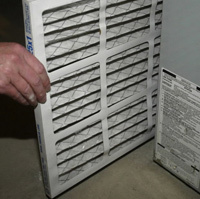 Monster Mechanical offers a wide range of rewarding services and products to combat indoor air pollution. To find out which system is right for you, call us today (973) 697-9776 and schedule an appointment with a professional.